The majority of twin births approximately 75 percent occur via cesarean section (c-section). However, according to a new clinical trial conducted by researchers at Sunnybrook Research Institute in Toronto and published in the New England Journal of Medicine, a planned vaginal delivery is just as safe as a planned c-section for delivering twins. 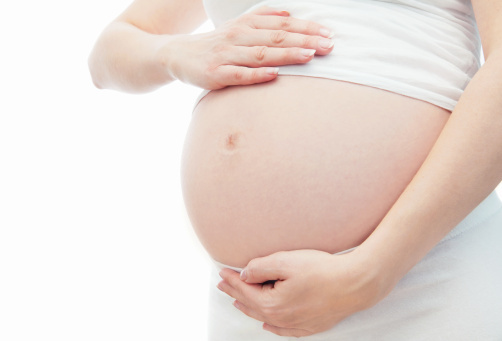 Researchers used data from about 2100 women at 106 centers that met requirements for rapid emergency cesarean delivery. Mothers were assigned to either a planned c-section group or a planned vaginal delivery group when they were between 32 to less than 39 weeks gestation. The twins, when delivered, had to be alive, weigh between 1500 and 4000 grams and the first twin had to be positioned head first when delivered. In the vaginal delivery group, 40 percent of those mothers ended up delivering via c-section for both twins and 4 percent had a c-section for one twin. In the planned c-section group, most mothers delivered via c-section, with only nine percent delivering vaginally. Advantages of vaginal delivery included that the twins had greater gestational age upon delivery. Vaginal delivery also has other known advantages such as shorter recovery time and hospital stay for the mother, and less chance for multiple surgeries. However, rates of maternal death at 28 days after delivery were similar in both groups. And although not statistically significant, c-section delivery was associated with a 16 percent increased risk of fetal or neonatal death compared to vaginal delivery. According to Dr. Sarah Kilpatrick, chair of obstetrics and gynecology at Cedars-Sinai in Los Angeles, cesarean section is major surgery, and anything we can do to avoid these surgeries safely is important. This study adds to the indications for safe vaginal delivery in a specific population. But Dr. John Fisch, Division Director of Womancare Associates and Assistant Clinical Professor in the Department of Ob/GYN at the University of Pittsburgh Medical Center, voices some concerns with recent trends. The current New England Journal of Medicine study regarding the safety of vaginal delivery of twin pregnancies supports what most obstetricians know: that in skilled hands a vaginal delivery is as safe as a c-section for twin deliveries if the first twin is vertex (head first). Hopefully this paper will lead to more women with twins attempting a vaginal delivery. There is a concern that as vaginal delivery for twins decreases, young obstetricians will not have the experience to do these types of deliveries, leading to a higher c-section rate and a vicious cycle. Unfortunately, without a reversal in the trend towards c-section, in a few years when the experienced obstetricians have retired this will be a moot point.